As part of its outreach, National Grid and its Granite State Power Link sponsored the Yankee Sportsman's Classic, an annual show that draws 15,000 for exhibits and workshops on hunting and angling. Joseph Rossignoli is director of U.S. business development for National Grid, which is proposed a power line through a corner of the Northeast Kingdom. Frank Stanley is a member of the Vermont Traditions Coalition and urged National Grid to sponsor the recent Yankee Sportsman's Classic. Even though the decision is being made in Boston, the leading competitors are using money and lobbyists to win local support. The Yankee Sportsman’s Classic is a mid-winter must-see for hunters and anglers in Vermont. Held in the state’s largest expo hall, the show has dozens of exhibits, seminars, and vendors. There’s an indoor trout pond for the kids, a paintball shooting arcade, and a big bearded guy calling himself "Gooseman" who drove over from New York to demonstrate his handcrafted – and very realistic sounding – game calls. In the midst of this sea of camo and mounted deer heads is an exhibit touting the benefits of a high voltage power line. 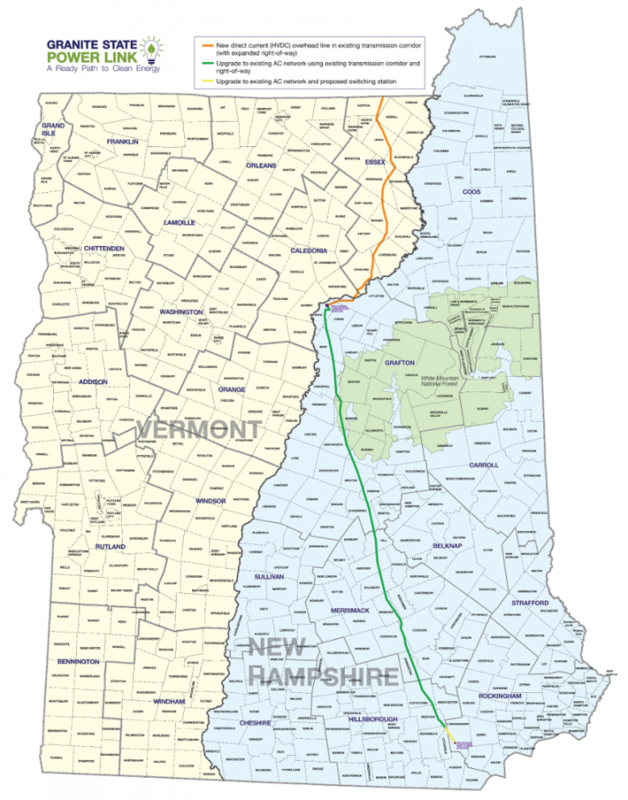 Called the Granite State Power Link, the project would cut through Vermont’s remote Northeast Kingdom, a region prized by hunters and outdoors-lovers. Proposed by National Grid, a global electric utility and power line developer, the $1.1 billion project would widen by 150 feet an existing power line corridor that already feeds electricity south from Canada. The fact National Grid is a major sponsor of the outdoors show and was pitching itself to an audience of hunters demonstrates the high-stakes and multi-faceted attempts to win public support for competing power projects in Vermont. Besides sponsoring the Yankee Classic show, National Grid has hired a legion of lobbyists, and has held community meetings in the Northeast Kingdom. “We feel that it’s just as important for us to make our case to Vermonters in those communities and across the state than it is to make our case to Massachusetts on the commercial side,” he said. Granite State promises to harvest primarily wind power from Canada, unlike their competitor, TDI Clean Power Link. That $1.6 billion project relies mostly on the massive dams of Hydro Quebec and would run a 154-mile line from the Canadian border under the waters of Lake Champlain and then continue underground to a converter station in Ludlow. TDI is financed by Blackstone Group, a private equity fund. It has all its state and federal permits in hand and may be ahead in the Vermont public acceptance sweepstakes. One supporter is Gov. Phil Scott, who appeared in a promotional video for TDI. “As the host state for this project, Vermont is proud of the role it will play delivering new clean energy to Massachusetts and other neighbors throughout New England,” Scott intoned in the video as a soothing acoustic guitar played in the background. Scott said last week that he likes both projects — but favors TDI because of the money it’s put on the table. Among the incentives: millions of dollars to fund the cleanup of Lake Champlain. The lake is overloaded with phosphorus – a nutrient that fuels toxic algae blooms. The money would go a long way to solving the state’s dilemma over water quality funding. Josh Bagnato, vice president of development for TDI, said the company has committed to putting $263 million over 40 years into two funds targeted at cleaning the lake. While the money for the lake is a big deal, Bagnato argued the main selling point is that a line carrying 1,000 megawatts will all be out of sight – buried or underwater. “We spent an incredible amount of time having the impacts be very, very low from this project,” he said. National Grid has also put money on the table for the Granite State Power Link. It’s pledged $20 million to the Northeastern Vermont Development Agency over 40 years. And it said payments to the state’s transmission utility will lower electric rates in Vermont. Meanwhile, National Grid’s Rossignoli said his team is working to navigate the environmental impact of the project on public and private lands. Part of the challenge for National Grid is just introducing itself to Vermonters. TDI has been on the scene longer, and has been meeting with local officials for several years. So like in any political campaign, National Grid needs to work on name recognition. After all, the Granite State in Granite State Power Link refers to New Hampshire, where the bulk of the project is located. Which brings it all back to the Yankee Sportsman’s Classic. Frank Stanley is a member of the Vermont Traditions Coalition and is the go-to-guy for an introduction to Vermont’s hunting community. He also arranged the sponsorships for this annual show. He said the event was a good way for National Grid to introduce itself to the hunting community. As for which project he favors? ”It would be nice if we got both of them, to my mind," Stanley says. "Because I know there’s a lot of towns that could use the tax benefits, and we could use the money for some clean water efforts." But Will Staats, an avid hunter and longtime resident of the town of Victory in the Northeast Kingdom, is much more skeptical. A wildlife biologist, Staats walked the length of the original line in the early 1980s, locating wildlife crossings for the state Department of Fish and Wildlife to protect. "What sort of ecological impacts is a second right-of-way going to bring along the existing one now?" he asked. Staats said the wider power line corridor would be a further incursion into Vermont's remaining wild lands. "You will not find a more avid, more active hunter-trapper than me and I don't want it from a hunter or trapping perspective, I can tell you that," he said. The next stage in the process calls for successful bidders to negotiate long-term supply contracts with utilities. The ultimate decision will be up to Massachusetts. 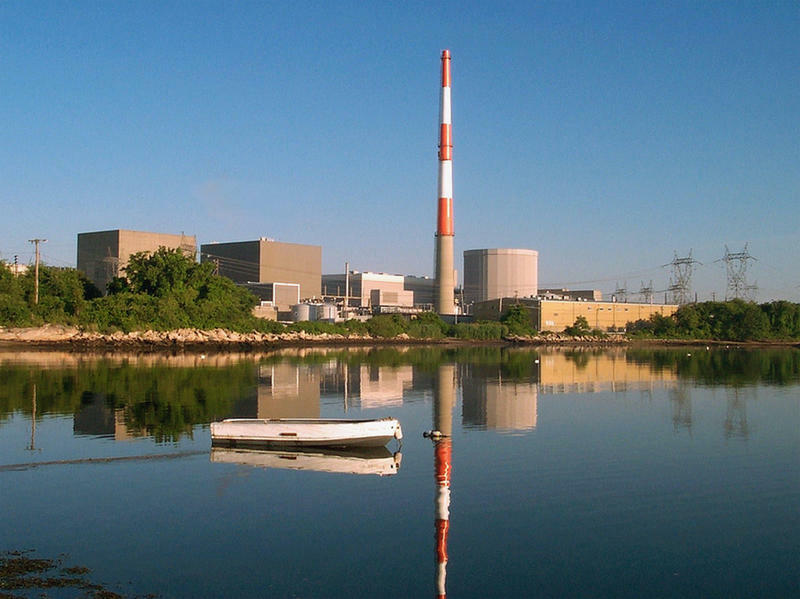 Both TDI and National Grid said their projects are not dead if they lose out in the Massachusetts bidding process. "An infrastructure project of this size needs a long-term commitment from someone to fund it. The Massachusetts solicitation is the best short term opportunity we have for that," said Bagnato of TDI. "But we feel like there will be other opportunities in New England beyond this Massachusetts opportunity." A decision that could change the way Connecticut’s only nuclear plant sells its power is expected in the coming weeks. 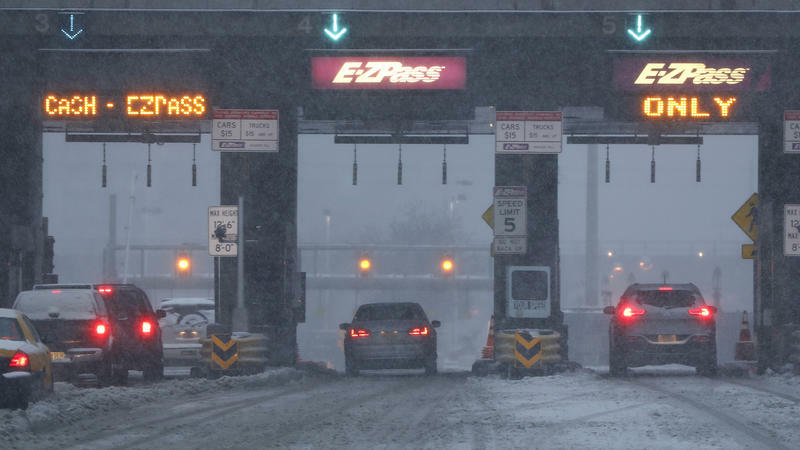 Now, dozens of legislators are using the state’s recent cold snap as evidence the Millstone Power Station needs to stay online.